Almost every outdoor sport uses shoes that have a kind of “grip” to keep them from slipping on the field. 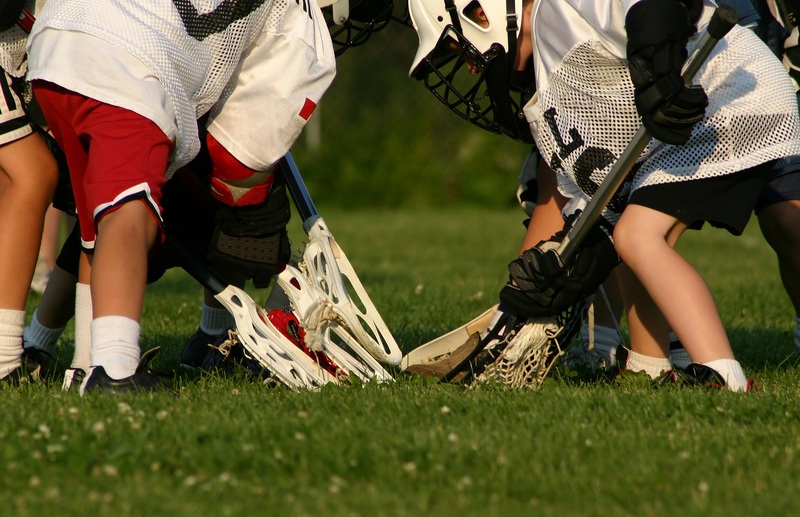 In the case of lacrosse, the studs are lightweight, support the ankle and provide a good grip. It is important that the shoes have just these light studs and not just any others. Football shoes, for example, may weaken during the game. The most important criteria when buying lacrosse cleats are the price, the fit, the height and the material. Like everyone else, you want a good pair of cleats, but of course pay as little as possible. Of course, the shoes have a certain price. To buy shoes, that are too cheap is not recommended, because in order to provide these named benefits some money must be invested. In any case, you are right here. We offer high quality at affordable prices and not only with our lacrosse cleats. Whether lacrosse cleats or turf shoes, your lacrosse shoes should always be close to the feet and not be too loose. Otherwise, it can easily happen that you slip out of your shoes while running. Make sure that your shoes are not too tight so that the blood in your feet does not build up or cramp. The lacrosse shoes are perfect if you have at least 1.5 cm between your big toe and the edge of the shoe. Consequences of shoes that are too small or too large can be blisters, inflamed feet, and an increased risk of sprains or other injuries. The height is not only relevant because of the look, but also improves your stand, as well as your style of play. For example, high lacrosse cleats are optimal for players who often suffer ankle injuries as they support the area of the foot more. 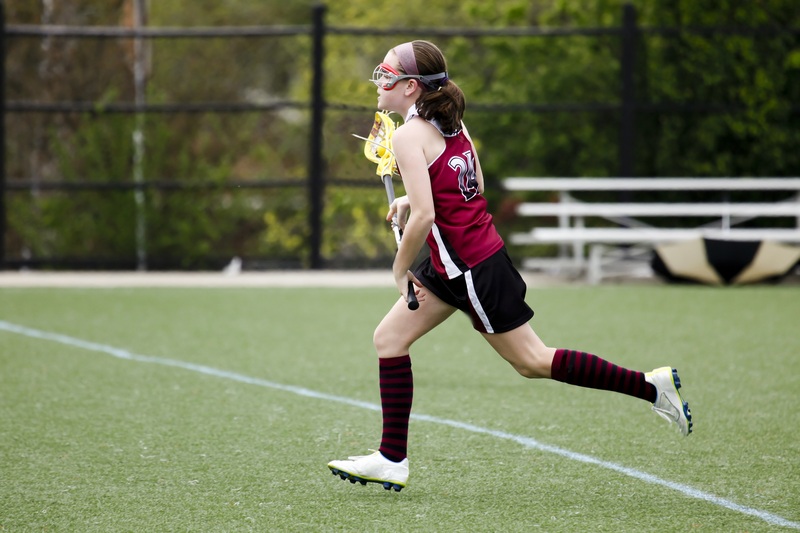 Mid-Cut Lacrosse Cleats offer a great combination of high-top and low-cut cleats. They still provide a very good ankle support and also a great freedom of movement. Low-Cut Lacrosse Cleats are especially good for players who value agility and want to rush across the field quickly. Normally, every turf and every cleat is made of synthetic material. The material helps to prevent injuries, provides a lot of room to move and also comfort. Meanwhile, many shoes have mesh vents for better breathability. The soles are mostly made of TPU spikes or studs to perform well in any weather condition. As the word suggests, these shoes are particularly suitable for turf field games. Because they have small, rounded studs, which were specially developed for turf. Turf shoes are particularly suitable for players who have either skin or ankle problems or both. They support the foot better than normal lacrosse cleats. These shoes are also ideal for running and for skill training. Which lacrosse shoes are right for you? The answer depends on your personal preferences and style of play just like with almost every other type of lacrsose equipment (Which head? Which Mesh? …?). Are you playing on turf? Do you value mobility? Do you have ankle problems? And much more. For example, an attacker without ankle discomfort should wear a different shoe than a defender with ankle problems. The important thing is that you pay attention to the above mentioned points when buying your lacrosse shoes. Especially the fit, the appropriate height and the right material are important. Good lacrosse shoes wether lacrosse cleats or turf shoes are indispensable and definitely worth a small investment. You not only protect your feet, but also improve your game.